A lot happening in the next six weeks. Two very experienced speakers are coming to Lean Culture: David Telleen-Lawton in June and Mary Sorber in July. 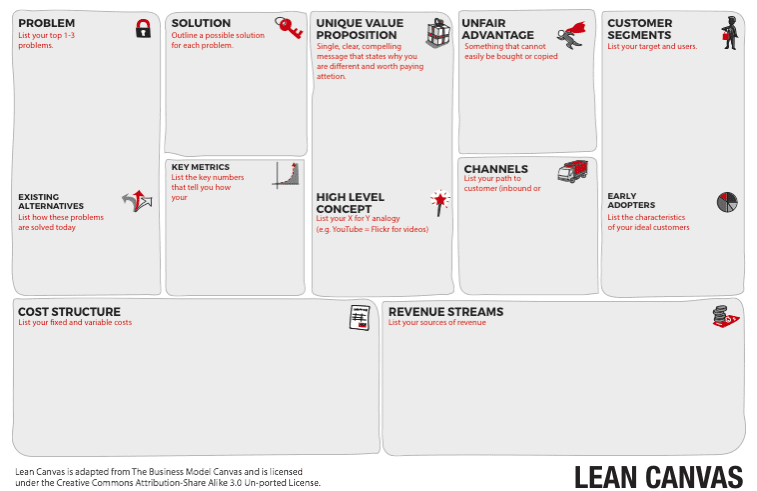 In addition our focus in July is on using the Lean Canvas to model your startup. The entrepreneur is interested in the “good enough” now, letting larger firms wait for the perfect. Tue-June-26 7pm Lean Culture: Customer Discovery Meetings. David Telleen-Lawton will offer a detailed briefing on the nuts and bolts of Customer Discovery Meetings from a sales perspective. Google Doc: Make a copy of https://docs.google.com/document/d/1OrM6LluI938MwED1aoLYnpbHTuGbhQeNI8bJ7WoCjkQ/edit (under File menu “Make a Copy”) This can also be saved as a Word File. This is a great insight. One term for staring at data until patterns emerge is apophenia, a term coined in 1958 by Klaus Conrad who defined it as “unmotivated seeing of connections accompanied by a specific feeling of abnormal meaningfulness.” An epiphany is when you see an underlying connection between different experiences or observations, an apophany is when you think you have had an epiphany but in reality you have incorrectly imposed an order on a random connection of data. If you have had one too many apophanies you may find the July Lean Cuture briefing by Mary Sorber a welcome antidote. Overview: So you have an idea, what next? Learn techniques that qualitative researchers use for more effective interviews that uncover deeper insights about customers and market needs. Attendees will leave with a better understanding of how to diagnose whether prospects have a problem and if they view your product as a potential solution. Note: this event was re-scheduled from May.